Everything is built into the housings for these speakers. 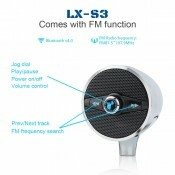 Bluetooth radio, 100W peak amplifier, USB power for charging, these speakers really do it all! A single knob on one speaker controls ON/OFF, volume, and input mode. 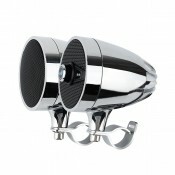 Solid metal housing with either Black or Silver Chrome plate finish. Completely weatherproof for all year use. 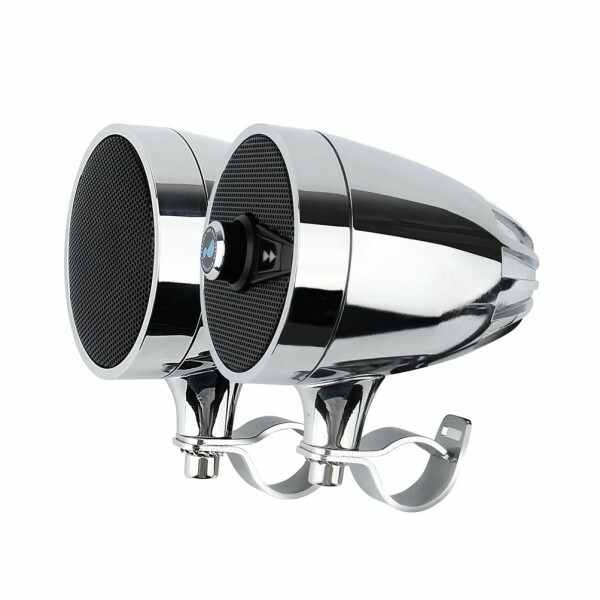 Provides options for bikes with both chrome or blacked-out treatments, or anywhere in between. 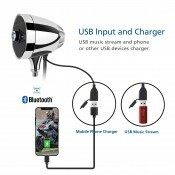 USB for MP3/WMA/WAV Music Stream, USB Power for charging, 3.5mm Aux-In are all included. Fits handlebars 7/8” and 1” in diameter. An optional large clamp for 1 1/4” and 1 1/2” bars is available. 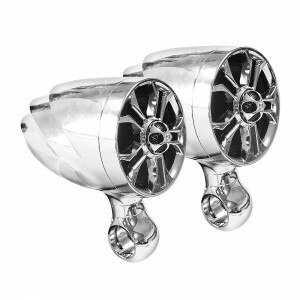 Plug and play stereo sound for your cruiser or ATV! Connect the power leads to your battery, connect the speakers to the harness, connect desired accessories, mount the speakers on your handle bars, engine guards, or other frame member, power on, pair with your mobile phone via Bluetooth, and immediately be able to enjoy your music as you cruise! 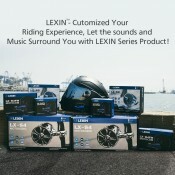 The LEXIN LX-S3 bar-mount speakers provide great sound and look great! On the side of the left speaker there is a control knob for power on/off, bluetooth pairing, volume control, play & pause. 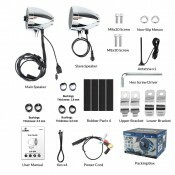 The fully integrated wiring loom provides easy installation with very few connections required. Charge your music player or mobile phone with the included USB power port, or plug in a USB stick filled with songs. You can even use any music player that has a headphone jack with the built in AUX 3.5mm jack! 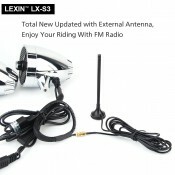 The LX-S3 offers peace of mind in your purchase with a 1-year warranty. See the warranty information in the manual for full details. Recently got these speakers for my Father for his birthday. He was stoked about having some music on his 2008 Suzuki V-Strom 650. Was easy to install not to bulky but still made the motorcycle look nice on his adventure rides. He liked how it was easy to operate the volume control and be connected to his music with Bluetooth. 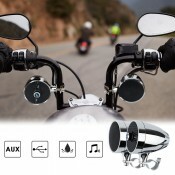 Can hear the music very clear while riding and amplifies pretty loud. Its a great price for how it works out for him. Only took about 20mins to install on the bike. ©2019 Lexin Motorcycle. All Rights Reserved.